Not only does Hirshfield’s have the best paint colors – Hirshfield’s paint specialists can help you find that perfect color in more creative ways than you’ll find anywhere else: you can relax in our cozy color centers; we’ll give you all the attention you deserve; if you need to try a color on your walls, we can tint any of our 5,020 colors in demo testers; we can even arrange for a Hirshfield’s Paint Color Stylist to come to your home. Hirshfield’s paint specialists can help you find that perfect color in more creative ways than you’ll find anywhere else. An experienced Hirshfield’s color stylist will meet with you in your home to develop a color plan. COMING SOON. 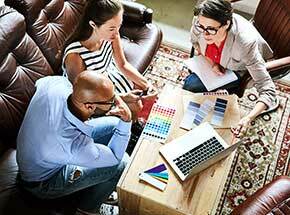 Hirshfield’s online color-consultation is a simple, efficient, and cost-effective solution. 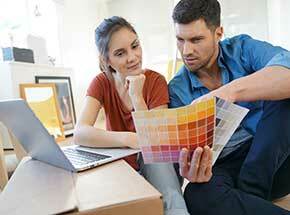 Hirshfield’s paint experts have matched paint colors to just about everything under the sun.